Anyone can draw! IPE Graphic Comic workshop proves it. 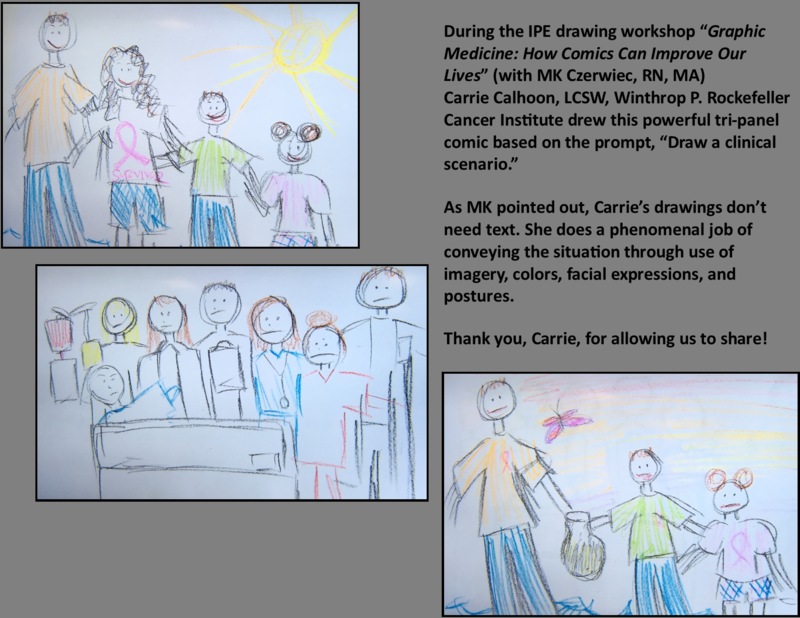 Carrie Calhoon, LSCW, Winthrop P. Rockefeller Cancer Institute created this incredible tri-panel comic during the IPE “Graphic Medicine: How Comics Can Improve Our Health” drawing workshop with MK Czerwiec, RN, MA, last week! Her panels speak volumes without any text. Thanks for letting us share your work, Carrie!